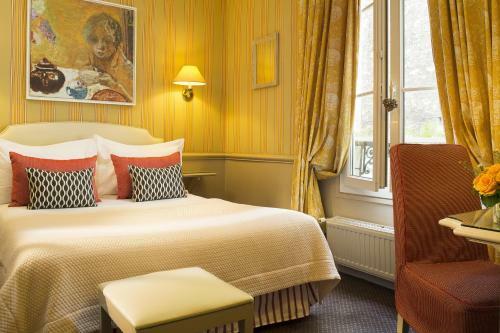 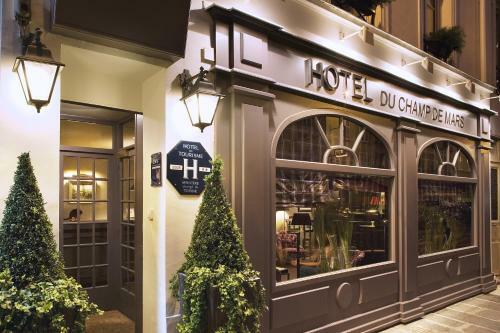 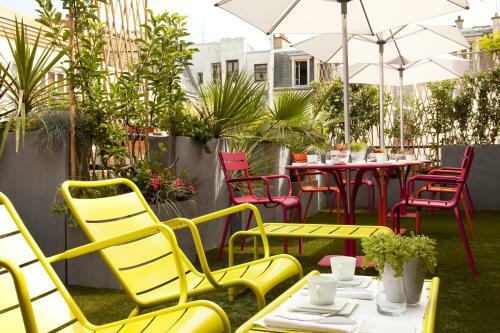 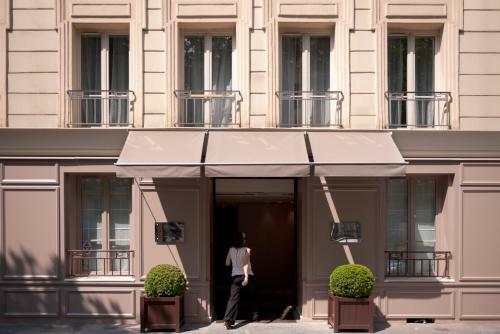 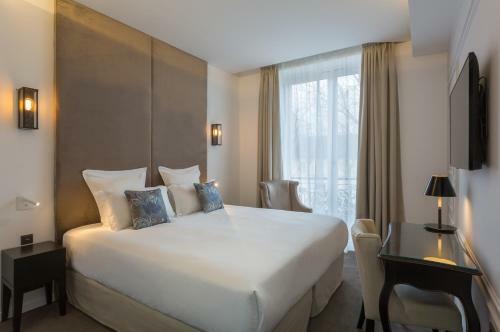 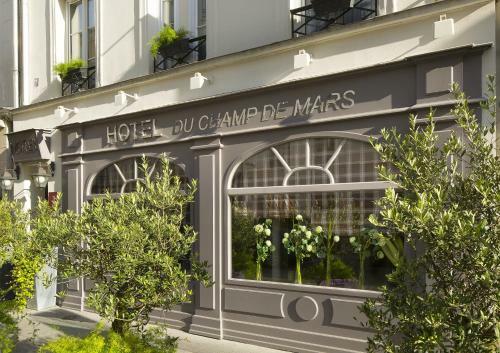 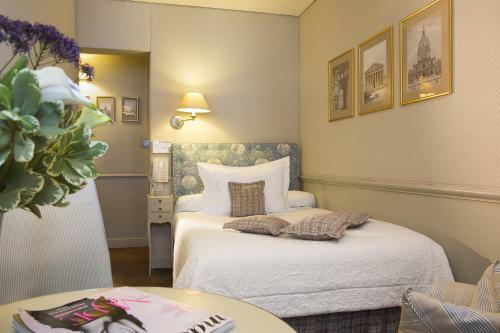 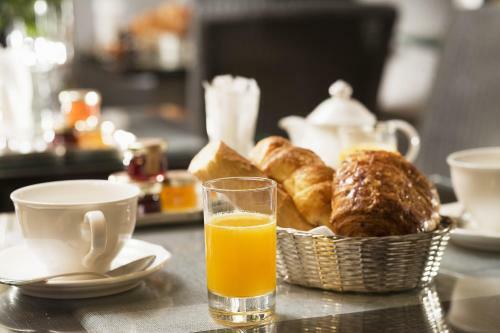 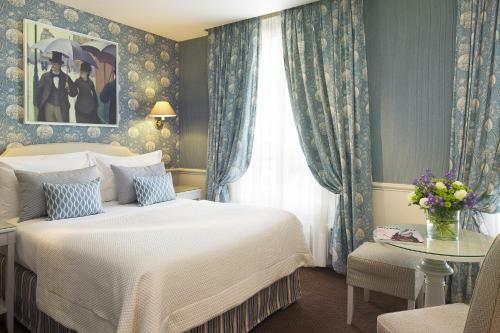 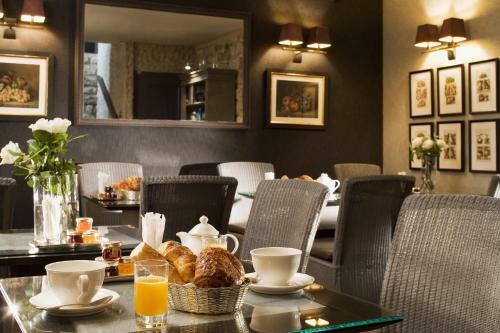 Located in Paris Hotel du Champ de Mars is 900 metres from the Eiffel Tower and 700 metres from Les Invalides. 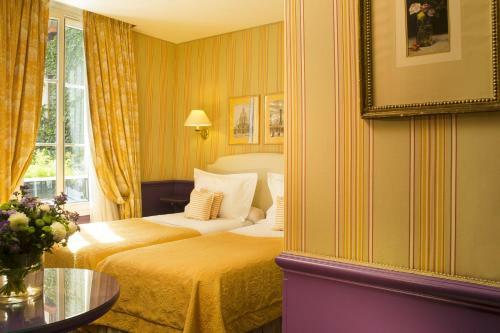 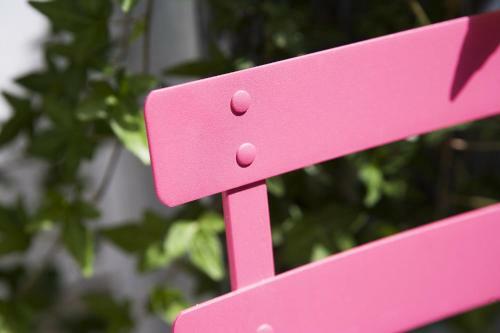 It offers free WiFi access a 24-hour frond desk and individually decorated guest rooms. 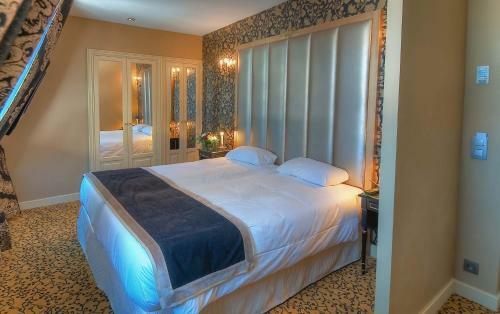 Serviced by a lift all rooms feature a fan a telephone and a flat-screen TV with satellite channels. 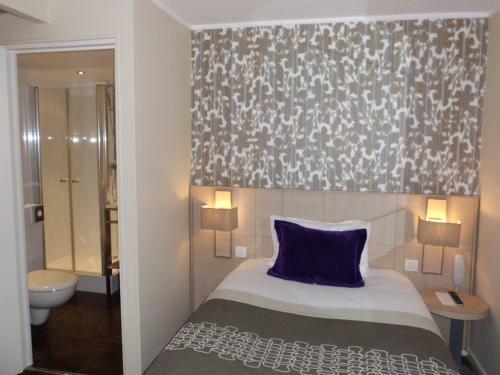 A hairdryer free toiletries and a bath or shower are provided in the bathroom.